This workshop was a completely unique experience for me. Our instructor Jaqueline gave us the confidence right from the beginning to be able to express each comment or query without generating the discomfort one can feel as a non-expert in the subject. The beginning of the course marked me positively when the instructor said, "Now that we are all professional writers." This was the motivation needed to create that trust and as they say "dive right in" and experiment. The content of the workshop was excellent; I obtained the necessary tools to develop the idea I entered the course with. It was also very dynamic and I loved how, within the course, the exercises put us to the test, as Jacqueline took the time to listen to each response and helped us analyze and structure our responses in a more appropriate manner. Now after the course, I feel well oriented towards what I want to develop, knowing where to start, how to practice and how to work towards my goal. There are no words to describe the satisfaction of receiving such a profitable course as this one. Jacqueline Haigh did her homework. She dissected and analyzed my story as a basis for a screenplay. She unflinchingly pointed out shortcomings (and strengths) and helped me brainstorm solutions. Her ideas made my story much, much stronger. Thanks for a productive and enjoyable one-on-one consultation. One of my best investments in writing improvement. Anyone who teaches knows that one of the greatest challenges the teacher faces is to move from the abstraction of theoretical language to everyday language and vice versa, so that students not only understand what is explained and acquire that knowledge, but also build from said knowledge. And this is precisely what Jacqueline Haigh achieved with her workshop. 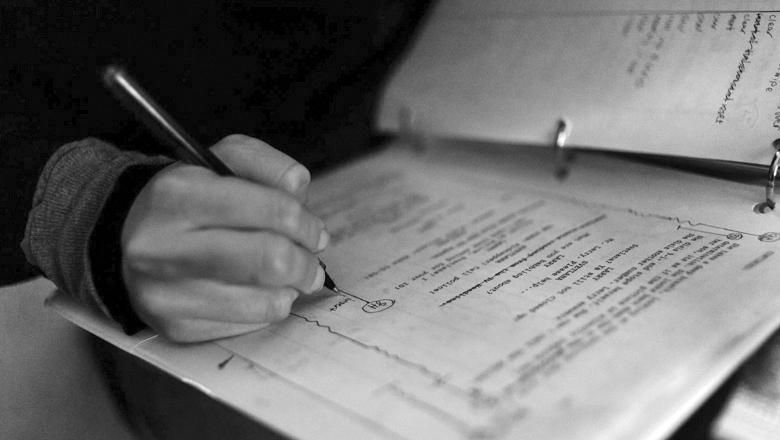 In an agile and entertaining way, Jacqueline broke up the entire structure of the screenplay and, simultaneously, pushed her students to create a story that meets the minimum requirements to be brought to the screen. Overall, I was very pleased with the workshop.